﻿ I'm a young rider! After reading many articles about young riders, the common problem is that there aren’t many of us, I decided it was my duty as a young rider to pipe up. I am more than slightly disappointed that my generation of bikers is dwindling so I would like to do my bit to promote two wheels and restore hope to those who religiously squeeze into leathers that bikers in the UK will not be added to an endangered species list. The title of the most recent article I read asked if I was young, I indeed am young so I read on. John Westlake interestingly discovers that a surge of younger riders are taking a shine to the new Kawasaki W800 retro model. Good news eh, but why retro models? The article says it’s what younger riders think “a real motorbike should look like”. A friend of mine whose opinion I value very much would agree with that quote. I have good reason to believe every sober word he says about bikes too. He is only 21 and has sampled bikes ever since he could walk, built a Land Rover Defender and at university, where he studies engineering, is currently rebuilding his motorbike. Oh, did I mention he rides a Moto Guzzi Le Mans Mk II? He says he doesn’t stand near it anymore to avoid answering the same few anorak questions. Like many bikers I started at the bottom; I had a little Yammy scooter at 16. Thought it was cool then, but now realise it wasn’t. It was a way of rebelling, going where I wanted when I wanted at 30mph, snatching a chunk of independence and not being on a bus. I didn’t mind that I occasionally got rained on - better than the annoying buzzing of monotonous music; the obscure and loud swear-fest conversations of young teenagers; those guys who come sit next to you when the rest of the bus is empty with a can of god knows what, stinking of fags and sick and asks you for 10p and if the bus he just got on going to Wakefield is going to Castleford. The next step up was keeping up with traffic on an excellent little work horse of the 125s, a Honda CG, a great first bike. I moved onto a CBR 125 which I loved but I am a small guy and even I thought it was too little, the bicycle tyres didn’t do it any favours. The barn door/Mickey Mouse ear mirrors had to go but it still shifted as it weighed less than a bag of crisps which in turn made the fuel economy ridiculous; 80mpg on a good day. Then a woman killed my CBR with her car and that’s why you should have insurance kids. That didn’t put me off at all. 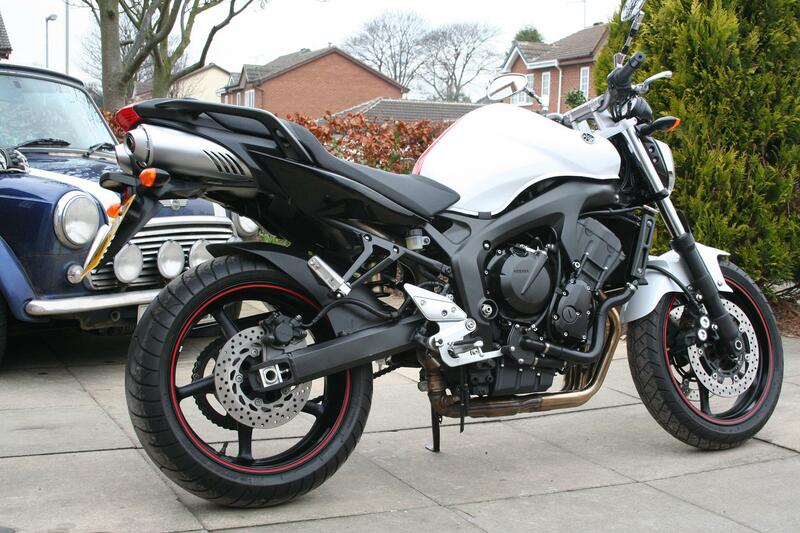 I now ride a 2008 Yamaha FZ6 S2 which, to me, is just awesome. Looks great with under-seat exhaust system, sounds good even with that standard kill-joy EU regulation noise limit, handles nicely and goes like fwarr. If you think a Corsa or a 206 with a halogen lamp underneath and a family sized baked bean tin on the exhaust is cool, really? I bet you couldn’t turn those few heads with the standard model, right? I’m only 21 and I bought and own my own middleweight bike, insured it and pay for its upkeep (no mods) and I will dare to say it would cost more than twice as much to put a standard 1.2 litre hatchback on the road. So why start biking? I was in two minds to start with but now I don’t understand why I was torn. I got that road experience as soon as I could and being a new road user on a scooter (or any bike) makes you ridiculously aware of everything. It’s not like running a gauntlet but does boost the skill of self preservation which in turn makes other road users around you safer. In my opinion, every road user should ride a two wheeled vehicle for at least a year as I have no doubt that biking makes more aware and safer road users. The cost of buying and running a bike is a lot less than non-bikers think too and the thrills and experiences you can have on a bike are worth it alone. 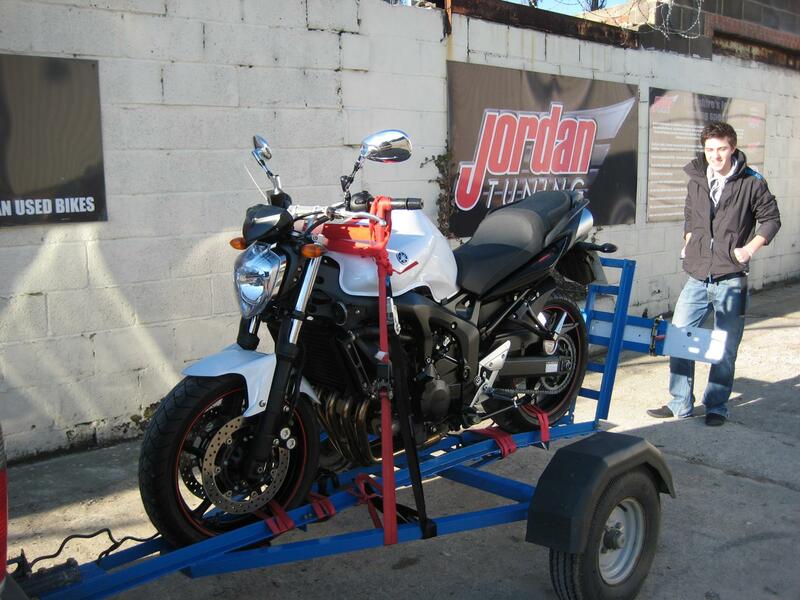 I’m going to Scotland for the first time this summer with a group of bikers for a week and it will be awesome. I can’t wait to get out there and ride those sweeping roads. In fact, I might just go out for a burn right now.